How Much Do Security Turnstiles Cost? 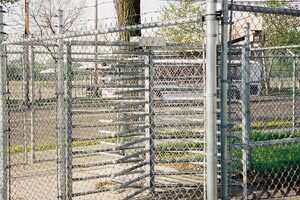 Type and Application – When you’re planning for access and security turnstile installation, the needs of your facility are the first consideration. Depending on your requirement, you can control costs by selecting the exact equipment you need. Our experienced advisers can help you avoid paying more than you should by assisting you with your choices. We offer the complete line of Boon Edam turnstiles. Requirements – Each entry point can require different levels of security. For simple access control and metering needs, waist-high tripod turnstiles can provide money-saving access for personnel and visitors, along with counting entrants. 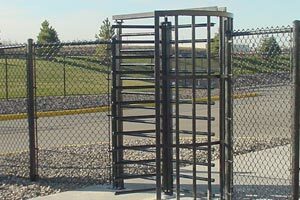 In other cases, higher security requirements may demand full height turnstiles, or even metal detection-compatible products. The higher the security level, the higher the cost of the equipment you need. Let us help you select exactly the right models from the Boon Edam product line, at the lowest possible cost. Control Requirements – Protecting your facility from unauthorized entry can be a major factor in access control product selection. Boon Edam turnstiles can use a wide range of control technology. Simple free-access models offer the lowest possible cost. Operator-controlled models are also a low-cost option. Token operation, pass-card and other entry control controls add to the cost. Sophisticated biometric access control and other control options are also available at additional cost. Special Needs – Along with basic turnstile designs at all levels, Boon Edam also offers ADA-compliant handicap access turnstiles and visitor-friendly transparent models for specific requirements. Our consultants can assist you in selecting these specialty products and give you a money-saving price quote on the cost of all models. As a high-volume purchaser, we receive outstanding wholesale discounts on all Boon Edam access control products. To help our customers save, we pass those savings along when they order from us. We also arrange for direct shipping of these products to your location, direct from the manufacturer. You pay only one shipping cost and get faster delivery. You benefit from our long experience and expertise when you order. We make sure your order is complete and help you control your total cost. For all of your access control and security requirements, count on our trusted, experienced company for all tripod, full height turnstiles and security gates, along with the full range of control options. Rely on our expertise and experience to help you select exactly the products you need. Let us give you our lowest-possible price quote on the Boon Edam models that exactly match your requirements. Call us today to discuss your project or ask for a money-saving price quote on specific models and options.